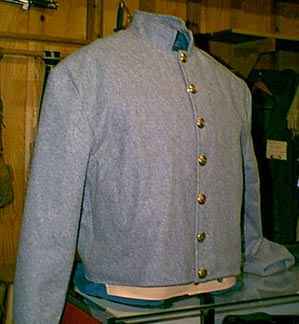 The gray wool jacket has a brown cotton lining. It has one inner pocket and seven CSA buttons down the front. 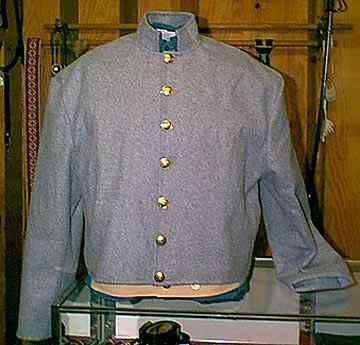 A Navy jacket is also available with one inner pocket and seven Eagle buttons down the front.